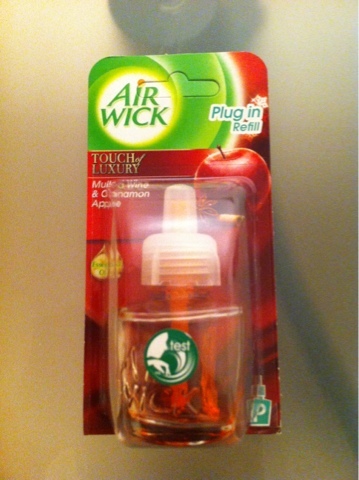 If you don't have time to light a nice smelling candle or you want an instant fresh smelling room when you walk through the door try Air wick plug in's. I have wasted so much money in buying various plug in's and air fresheners, they work for one day and then you can't smell them after that. Try Air wick plug in's especially mulled wine, cinnamon and apple in the winter, they will last a long time and keep the house smelling lovely. I bought two for £6 pounds in Sainsburys they are normally £4 something each.